There’s nothing that can really compare to a meal that is sweet and spicy at the same time. 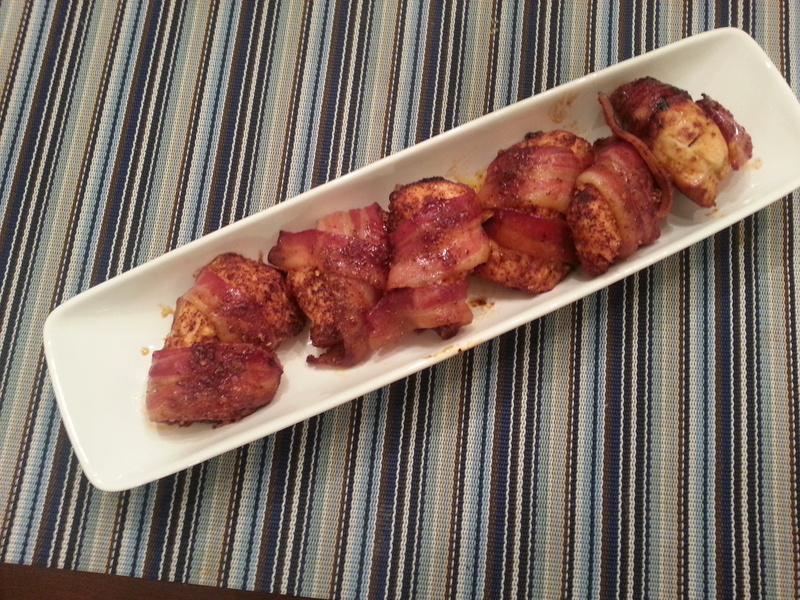 You have Thai curries, veggie stir fries with chili peppers or my new favorite: bacon wrapped chicken. Okay you may say: where’s the sweet? Where’s the spicy? Throw some brown sugar and chili powder in a bag, shake the chicken around in it and there you have it: sweet and spicy. Mix garlic powder, chili powder, brown sugar, salt and pepper in a gallon sized zip- lock bag. Cut chicken breast in half or thirds depending on the size of the breast. Put all of the chicken into the zip –lock with the seasonings. Zip and toss seasonings until each piece of chicken is coated. Wrap each chicken piece in a slice of bacon and place onto a non-stick cookie sheet. (I use cooking spray.) Bake the chicken at 400˚ for 30 minutes.